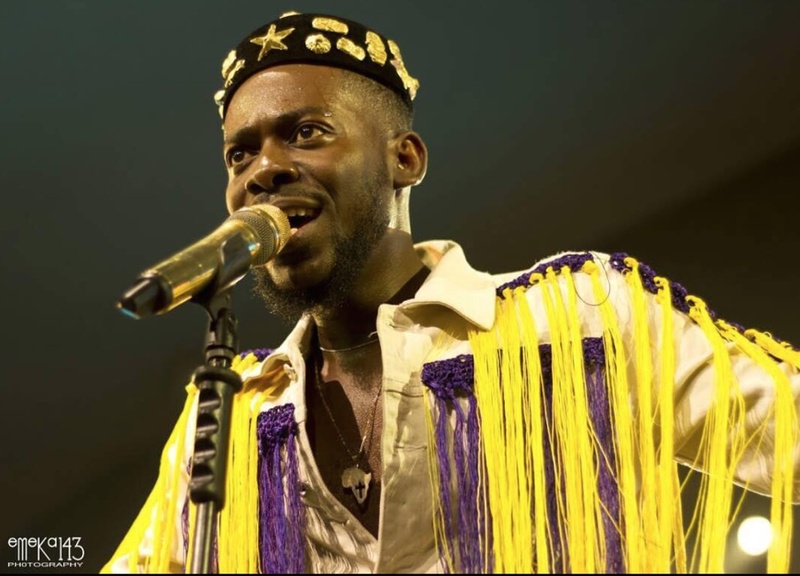 Any Adekunle Gold fans here? 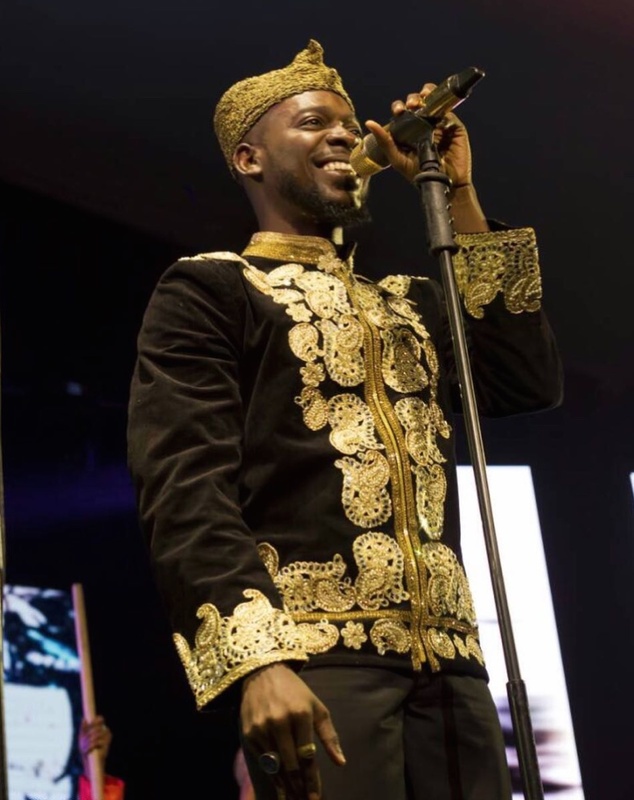 If you’re a fan of his storytelling, Afrocentric cool style, amazing voice and stage presence, The One Night with Adekule Gold concert last night was where you HAD to be this December. 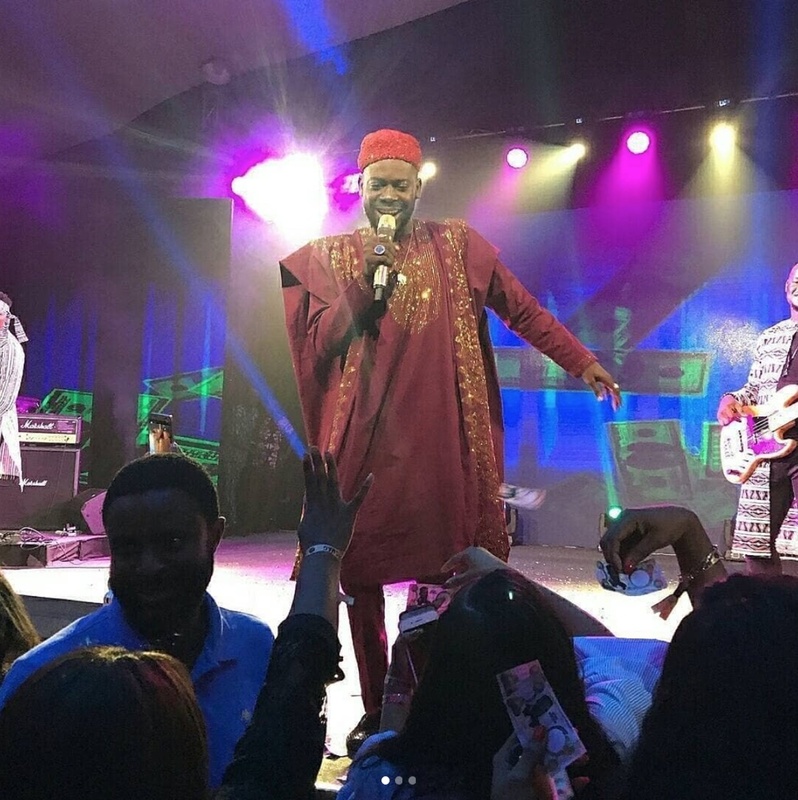 Seyi Shay, Funmbi, Moelogo and of course, Simi took the stage as well but the one thing that stole the show for us at BellaNaija Style (aside from Adekunle’s amazing performances), was his outfit choices. The stylish singer and songwriter changed into 4 different looks last night, each one with a special feature that played a role in making the night’s experience come together. 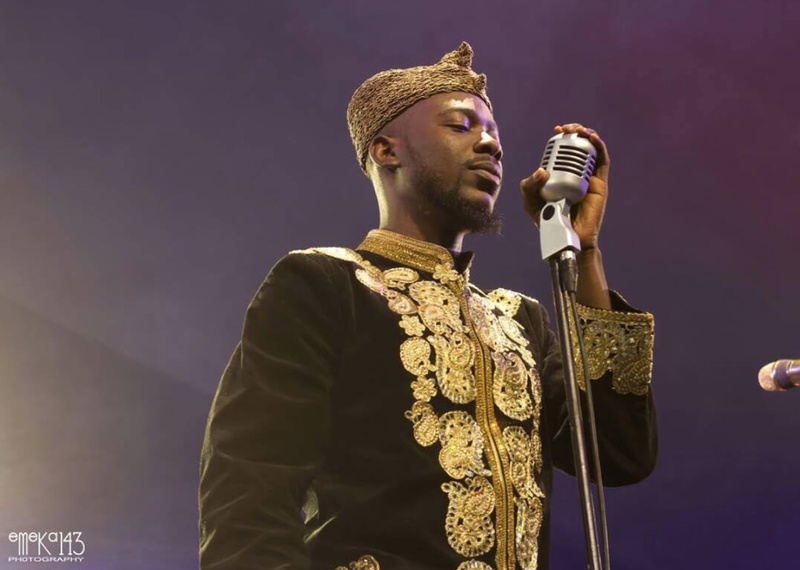 Nothing screams royalty like gold and for Adekunle, it’s all in the name! It was only right that his first look of the night would be a representation of the king that he is. 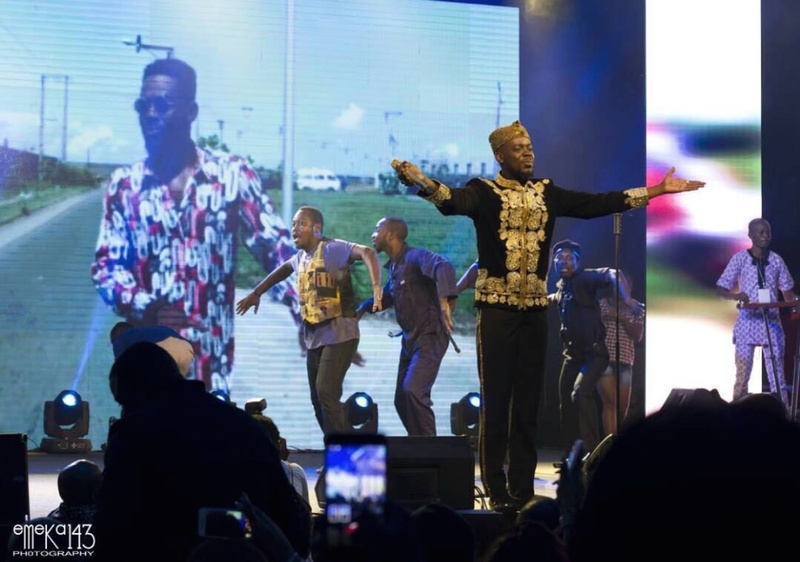 The heavily gold embroidered black jacket was the perfect opening statement as he performed one of his many hits, Ariwo Ko. After a regal entrance, the singer kept things fun in this long yellow fringe outfit and his signature cap to complete the look, adding a bit of traditional flair to the ensemble, while he performed light-hearted songs like Friend Zone and My Life. Can you say no to a handsome singer in a good looking tux? 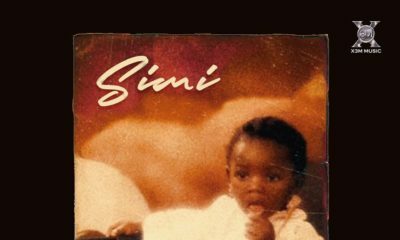 We sure can’t and neither could Simi! 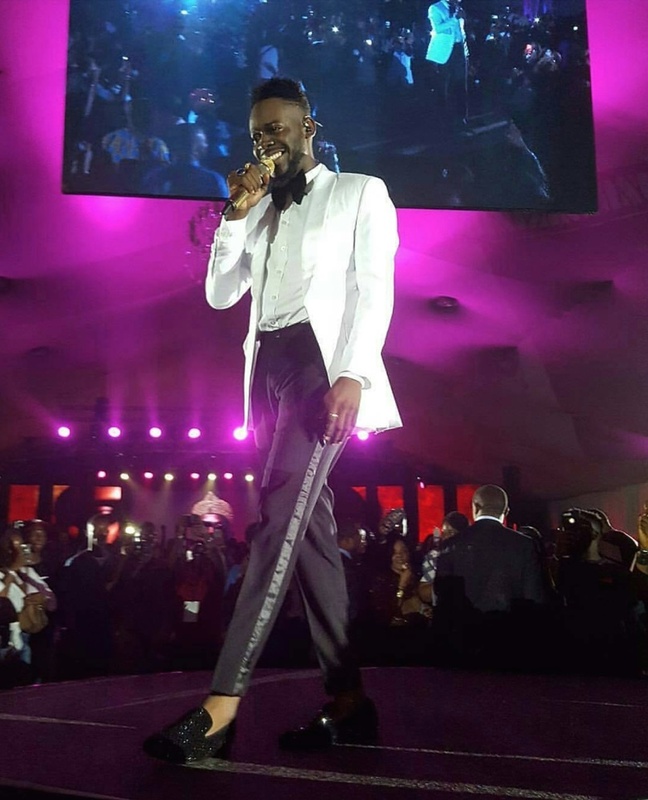 Adekunle wore this white tuxedo while he took the stage with Simi as they performed their love song, No Forget and she, of course, couldn’t stop blushing! 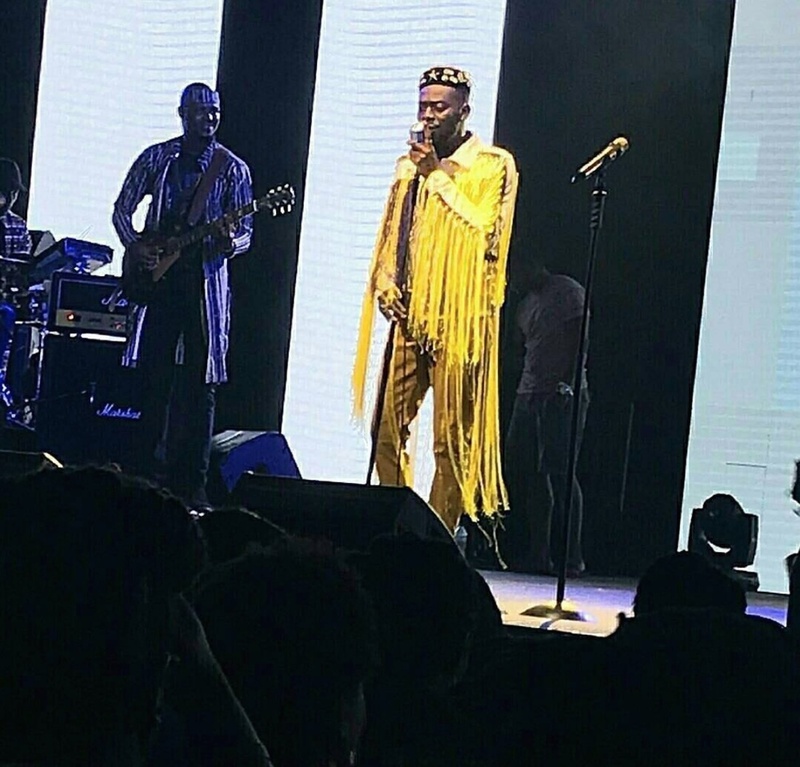 To close the show, Adekunle Gold stayed true to tradition and kept it classic with an agbada. But not just any old Yoruba demon simple agbada, his was embellished with what appears to be either gold studs or bullion wire embroidery for a regal look. Love lives here! 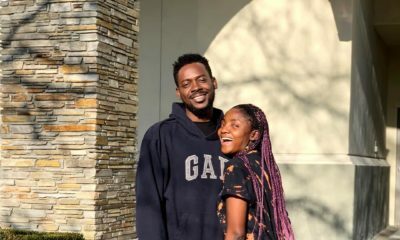 Mr Eazi & Temi Otedola are too Cute ? 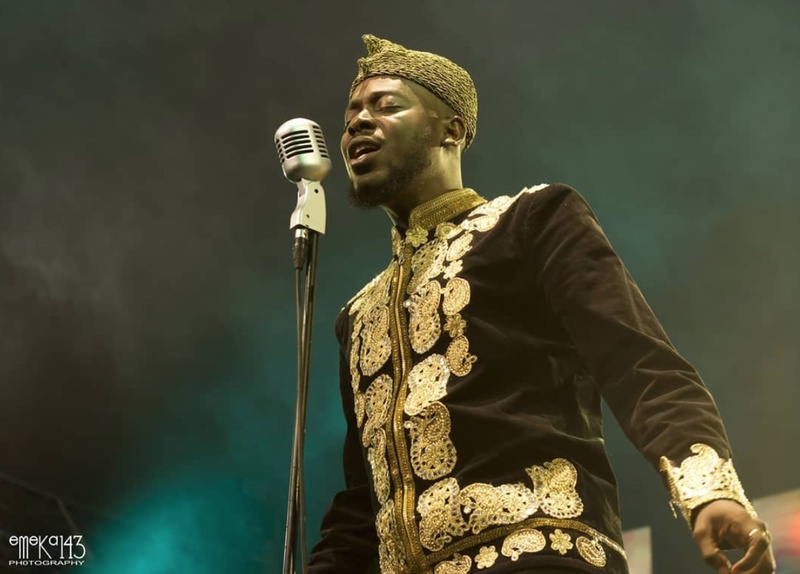 There is something old school, old soul about Adekunle Gold, that I find amazing.